John Chappell Natural Philsophy Alliance > Harry Ricker III > General Relativity > What Happened To The Principle Of Relativity? In his book Science and Hypothesis, first published in French in 1902, Poincare gives to the principle of relativity the status of a unifying principle in both mathematics and physics. It is an important theme of the book, which unifies this collection of essays. At the end of the book, Poincare discusses how this principle is rendered safe in Lorentz’s theory of electro-dynamics. It is certain that Einstein drank deeply from the waters of Poincare’s book and fully embraced the ideas contained in Poincare’s Principle Of Relativity. However, it would seem that Einstein’s interpretation of this principle, despite the fact that he apparently made it the cornerstone of his Theory Of Relativity, was not exactly consistent with Poincare’s view of the principle. While Poincare embraced Lorentz’s solution to the ether problem, as maintaining the integrity of that principle, Einstein rejected it. This significant difference has been hailed as Einstein’s great advancement beyond Poincare’s limited vision. But it has not been recognized that this represented a significantly different use of the Principle Of Relativity, than Poincare had in mind. Einstein’s theory created an inconsistency in the use of that principle that has vitiated the acceptance of his theory and promoted controversy for 100 years. This fact can be seen by simply re-reading the applicable sections of Einstein’s 1905 paper, “On the Electrodynamics Of Moving Bodies.” There the crucial section 4 entitled, “Physical Meaning Of The Equations Obtained In Respect to Moving Rigid Bodies and Moving Clocks”, Einstein gives a contradictory physical interpretation for the contraction of moving rigid bodies and moving clocks. The discussion for rigid moving bodies appears to make it clear that the shortening or contraction of the bodies in the direction of motion is applicable for bodies “viewed from a system in uniform motion”, and that the effect is reciprocal for both. However, when discussing moving clocks, the effect of time dilation is not explicitly stated as reciprocal, and it is rather clearly stated that the effect is due to the motion of the moving clock. The way Einstein states it, length contraction is reciprocal or symmetrical, while time dilation is not reciprocal but asymmetrical. Although this has often been viewed as an error or perhaps a slip in language, it seems clear from later physical interpretations given by Einstein that the asymmetric interpretation is exactly what Einstein intended. The result was a correct interpretation by his critics that the theory was contradictory, and this precipitated a long running battle with critics of relativity. The conclusion of this controversy must be that Einstein’s physical interpretation is inconsistent with the formal mathematical structure of his theory. became evident that Einstein’s physical interpretation of the theory was asymmetrical with respect to time dilation, it became obvious that this interpretation was not consistent with the Principle Of Relativity as envisioned by Poincare. This became embarrassing clear to Dingle during the twins paradox debates of the mid 1950s. 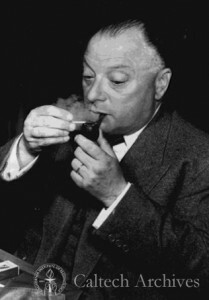 Dingle, who rigidly adhered to the idea that the principle meant that there was no “idea of absolute rest” in physics, found that the meaning of the principle had changed to permit the concept of asymmetric time dilation, which was incompatible with this principle. Hence, it seems that the theory of relativity was not relativistic in this sense, but relativistic with completely different meaning assigned to the principle of relativity. This brings us to the question: What happened to the principle of relativity? How did the physical interpretation change from that of Poincare, to that of modern physics such that there is little resemblance between the two conceptions. There is also a second question that is more specific. That question is this: Why, since in his 1905 paper Einstein included two apparently equivalent statements of the principle of relativity, doesn’t modern physics do the same thing? It is clear that by the principle of relativity, Poincare understood the statement of this law given in his 1904 Saint Louis address to be a direct consequence of the larger meaning of the principle. 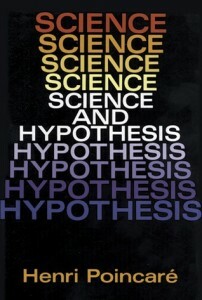 That larger or greater meaning of the principle was the theme of Science And Hypothesis. 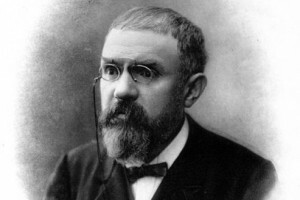 During the Saint Louis address, Poincare stated the principle this way: “The principle of relativity, according to which the laws of physical phenomena should be the same, whether for an observer fixed, or for an observer carried along in a uniform movement of translation; so that we have not and could not have any means of discerning whether or not we are carried along in such a motion.” Modern relativity textbooks use the following different version: “The laws of physics are identical in all non-accelerating (that is, inertial) frames”. This author thinks that this version, because it has been simplified, results in a completely different physical interpretation. In fact this version of it is completely consistent with Lorentz’s ether theory because it is simply a generalized statement of Lorentz’s theorem of corresponding states. Note that Poincare makes it clear that the principle includes the relativity of motion, which Lorentz’s theory did not. 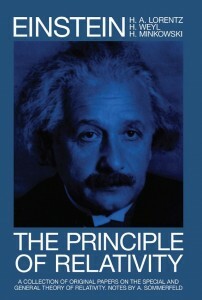 It is this authors claim that the difference between these two versions of the principle is the source of most of the controversy in relativity. It is also the reason for Dingle’s defection. In order to make the difference clear we state the situation in this way. The first principle as stated by Poincare is properly seen as the foundation of Einstein’s theory which disavows the ether, and is usually seen as embodying a Minkowski space-time metric structure. The second is the foundation of Lorentz’s ether theory of absolute space and time. The difference is fundamentally expressed experimentally in the following way. In a theory consistent with the first principle, a Minkowski space-time is assumed and relative motion causes an apparent time dilation of clocks, which is reciprocal. Hence the apparent time dilation is symmetrical. The second principle implies an asymmetric time dilation because space and time is absolute. Hence if a real asymmetric time dilation can be experimentally verified it can be taken as validation for Lorentz’s theory of absolute space and time embodying the ether. In Poincare’s physical interpretation of the principle, the state of motion of the observer either fixed or moving, was irrelevant, and this was reflected in the fact that the laws of physics were the same for all of them. In Lorentz’s theory, however, the principle expressed the fact that the state of physical motion relative to the ether was an irreverent fact because of the compensatory action of Lorentz contraction. Einstein introduced a peculiar new idea. His idea was apparently similar to Lorentz’s, however, for Einstein it was a dilation of time that produced the compensatory action rather than contraction of matter. Einstein’s theory, however, suffered the serious defect that this simply stated conception was never clearly brought forth, and as a result his theory seemed to be basically the same as Poincare’s. This idea was reinforced when it became clear that the mathematical formalism being used by Einstein was the same as that of Poincare. This author believes that it was the deliberately ambiguous nature of Einstein’s theory that guaranteed its success. His theory was conducive to the principle of relativity as expressed by Poincare, while at the same time also conducive to the ideas of Lorentz expressed in his theorem of corresponding states. It embraced all the elements of success. It was both radical and conservative, both at the same time; a smorgasbord of ideas from which anyone could choose the ideas that he preferred as true. In his 1905 paper, Einstein stated the Principle Of Relativity in at least three different ways. The first version, given in the introduction, stresses that it is essentially equivalent to Poincare’s prior version. It stressed both the equivalence of the laws of physics and the principle that there is no absolute standard of rest. 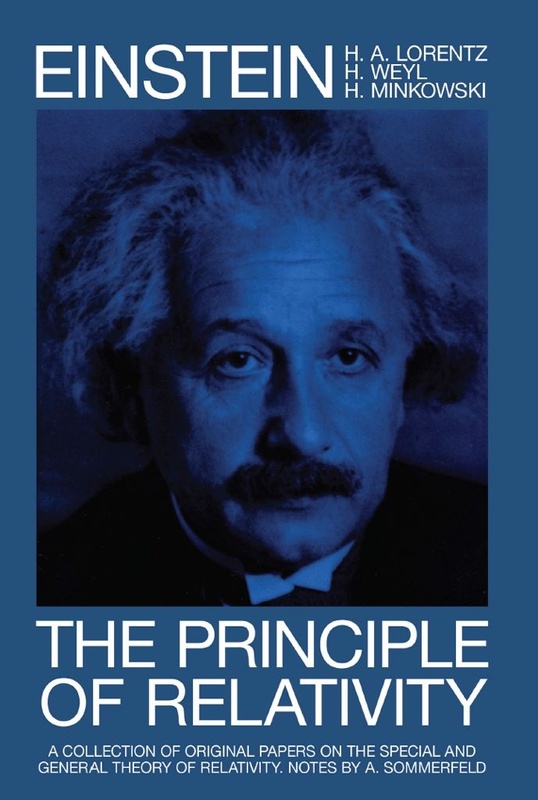 In section 2, he gives a formal definition of the principle The statement is quite different from the usual or standard version familiar to students of relativity. Einstein‘s formal definition is: “The laws by which the states of physical systems undergo change are not affected, whether these changes of state be referred to the one or the other of two systems of co-ordinates in uniform translatory motion” This statement is apparently consistent with the original version of Poincare and if one thinks about it with Lorentz‘s theorem of corresponding states. Notice that Einstein defines the principle in terms of physical states and not in terms of the form of the laws of physics as in his later versions. This appears to have been the genesis of Einstein’s idea of a change in the time scale of physics. In Einstein’s 1910 paper, “The Principle Of Relativity and It’s Consequences in Modern Physics” there is the following definition of the principle: “The laws governing natural phenomena are independent of the state of motion of the coordinate system with respect to which the phenomena are observed, provided that this system is not in accelerated motion.” In this version, the emphasis continues to be upon the coordinate systems, but there is in this an attempt to generalize, by making the principle applicable to laws of physics in general, not just the specific laws of mechanics, from which the principle arises, and electromagnetism, which is the new realm to which the principle is being applied. This section discusses the different interpretation that was put on the principle of relativity by Wolfgang Pauli. 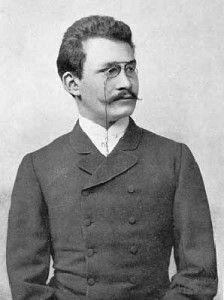 For Pauli, the principle was embodied within the mathematical concept of a group. This has seemed to relativistic physicists another powerful reason to view the theory as perfectly true. Their emphasis on mathematical beauty found the idea of the Lorentz group beautiful and compelling. It never occurred to them that this idea might not be exactly correct. They simply assumed that the Lorentz group, as defined by Poincare, was the correct mathematical realization of the physical concept of the principle of relativity. It never occurred to them that there may be more than one type of mathematical structure that satisfied the formal statement of the principle of relativity. In other words, it was assumed without proof, that Poincare’s principle of relativity, that was mathematically realized in the formalism of the Lorentz rotation group in a Minkowski space, was unique, and that this formalism was also a unique representation of Einstein‘s different statement of the principle as given in 1916. Mathematically this meant that both the Poincare and Einstein versions were mapped into the Minkowski space-time formalism equipped with a Lorentz rotation group as an isomorphism. Before proceeding to the reasons why this assumption is false, lets review Pauli’s statements concerning this idea. In his book The Theory Of Relativity , Pauli places great emphasis upon the “Axiomatic nature of the Lorentz transformation”. He discusses how they can be “derived from general group-theoretical considerations alone”. Thereby bypassing the principle of relativity and its physical interpretation. The special theory of relativity in Pauli’s view became “the theory of invariants of the Lorentz group”. In other words “…the behavior of the space and time coordinates is formally completely equivalent in the Lorentz group, and thus also in the physical laws which are invariant with respect to this group. In fact the invariant which is characteristic for the Lorentz transformation…It is therefore expedient from the beginning not to separate space and time, but to consider the four-dimensional space-time manifold. ” There was of course no proof of uniqueness. However, there were intimations of problems. These arose within the development of the theory, which was never questioned, contradictions. They became known as paradoxes. They were immunized by ingenious explanations and the absurd idea that these “paradoxes” were true consequences of the theory, even though they contradicted common sense. 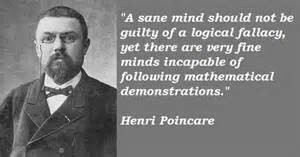 Such was the power of belief in the group formalism of Poincare and Minkowski, that common sense was discarded. Fortunately, critics of relativity did not accept this idea. 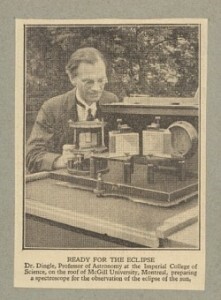 H. Wildon Carr in a philosophical paper of 1915 describes “The principle of relativity is a mathematical principle by which spatial and temporal measurements are coordinated for observers in systems of reference which are in movement relatively to one another, and by which the equations are transformed when the observer passes from one system to another.” This was unfortunately, a good description of what was supposed to be happening in the theory, but which produced the paradoxes. This section discusses the important discovery by Herbert Dingle, that Einstein’s special theory of relativity was not relativistic in accordance with Poincare’s Principle Of Relativity. This was a direct result of the fact that Einstein’s 1916 principle of relativity does not lead to a physical interpretation consistent with the idea that there is no principle of absolute rest. The significance of this discovery however has not been properly appreciated or understood within its proper context. This will be corrected here. During the early development of the theory of relativity, there were intimations of trouble which arose within the so called paradoxes of relativity. The great prophets of the theory, however, did not see in these contradictions any significant challenge to its credibility. However, for the critics, and there were many, the contradictions demonstrably showed that relativity was a false theory. However, the conviction that relativity was true because of the power and beauty of its fundamental principles and mathematical form, was decisive in convincing the scientific paladins that its truth was unquestionable. Because of this, all efforts to discredit the theory were rebuffed and this policy has continued to the present day. But recurring interest has been maintained by the critics of relativity, particularly with respect to the famous twins paradox. This brings us to Herbert Dingle. In the mid 1950s, Dingle became embroiled in a controversy over the twins paradox as a result of a book, which gave the standard relativistic resolution of the paradox. Dingle however, reasoned that the standard explanation of the paradox had to be false, because it contradicted the principle of relativity. It must have certainly been a surprise and source of consternation to Dingle when his arguments were dismissed for a variety of specious reasons. This provoked Dingle to dig deep into the theory. What he discovered can be stated this way. He learned that the standard relativistic explanation for the physical interpretation of time dilation was not relativistic in the sense meant by Poincare’s principle of relativity. He found that a quite different interpretation of the principle based on Einstein’s 1916 version was being used instead. This version allowed for the conclusion that time dilation could be asymmetrical and thus the twins paradox could be explained away. Dingle refused to accept this, and the result that he produced, is a landmark in the history of the problem. Dingle discovered that the physical interpretation of the theory being advocated by Einstein’s followers resulted in a mathematical contradiction, when analyzed within the context of the Poincare-Minkowski mathematical formalism. This assumed the Lorentz group structure. Effectively what Dingle did was to conclusively demonstrate that Einstein’s physical interpretation of the theory of relativity was mathematically inconsistent, or created a contradiction, within the mathematical formalism of the same theory. The reader should re-read the definition of H. Wildon Carr to see what is happening. The result of this brought on two possibilities. Either the mathematical formalism of the theory was false, or Einstein’s physical interpretation of the theory was invalid. Dingle choose to advocate the first conclusion which, of course, was rejected. The overwhelming belief in the fundamental idea of the Lorentz group was too strong to be overthrown. The establishment failed to accept it. The second conclusion was also rejected, because within the view of the scientific establishment, the theory of relativity was validated by a mountain of evidence supporting it. It never occurred to them that this evidence did not confirm the mathematical formalism of the Poincare-Minkowski group structure, because they fully believed in it as well as the contradictory physical interpretation of Einstein. Reviewing Dingle’s proof that relativity is fallacious, it is important to understand that both of these ideas can not be true. Either one is true and the other false or both false, but not both true. If we accept the truth of Einstein’s physical interpretation that asymmetrical time dilation is experimentally validated, then this conclusion invalidates the mathematical basis of the theory. Since it has been convincingly shown that experiment tends to validate Einstein’s idea of an asymmetrical time dilation, this means that the relativity principle of Poincare is invalid, and the mathematical formalism of the theory is therefore falsified. This conclusion can not be escaped, but it has been ignored. Relativists have attempted to escape Dingle’s proof of the invalidity of the theory by the curious claim that the theory does not require the prediction of asymmetric time dilation. This is certainly true. If one takes the position that Einstein’s physical interpretation of the theory is false, then the integrity of the mathematical formalism can be maintained. But this immunization of the theory has one flaw. The experimental evidence marshaled to support the physical interpretation of asymmetric time dilation is overwhelming. This invalidates the mathematical basis of the theory which is only consistent with a symmetrically apparent or “perspective” time dilation effect. 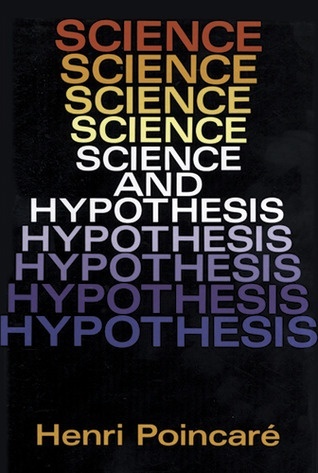 There are two ways to resolve the conclusions forced upon science by Dingle’s proof that that the mathematical formalism of relativity is false. The current option of ignoring the problem is not viable and should be rejected. This leaves only the option to reject the mathematical formalism of that theory and adopt a different one. This author has shown in a number of papers how a non-contradictory theory of relativity can be constructed. The proposed theory is consistent with Einstein’s 1916 Principle of Relativity. However all of the conclusions of the theory are not preserved. The reader should refer to the author’s other papers to see how the non-contradictory theory is constructed. It is this author’s opinion that sometime during the development of Einstein’s theory the emphasis changed with respect to Poincare’s principle of relativity. It is, however, also clear that from the beginning, Einstein believed in the concept of asymmetric time dilation. Although critics were aware that this idea was inconsistent with the spirit and content of the principle of relativity, Einstein managed to get this concept accepted along with his idea of the principle of relativity. That seems to have been originally borrowed from Poincare, and then modified to render it more general. It was not until Dingle directly attacked the contradiction of Einstein’s version of time dilation, with the principle of relativity, that it became apparent that there was a flaw in the theory. But by that time the experimental evidence seemed overwhelming in favor of Einstein’s idea of asymmetrical time dilation. Thus Dingle’s proof that the theory was false was rejected. But a theory can not be maintained as valid once its fundamental mathematical basis has been falsified. This fact is unavoidable. So a new mathematical basis for the theory is needed. It turns out that such a mathematical basis is readily available without a radical change to the mathematical structure of the theory. However, significant changes are required in other aspects of the theory. 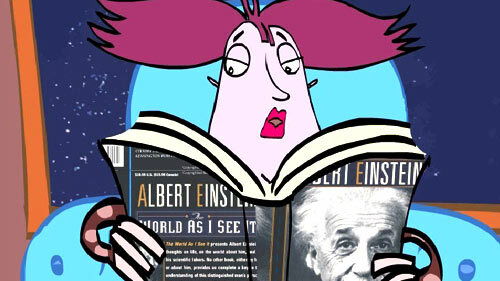 It turns out that Einstein’s Principle of Relativity can be retained. But a significant change in its specific wording as proposed by this author is necessary. The advocates of Einstein’s ideas will be pleased to learn that the spirit of Einstein’s ideas can be retained in the new revised principle of relativity. Poncare’s first principle of symmetrical time dilation with reciprocity as well as with symmetrical length contraction can be experimentally demonstrated to be correct by a recently developed stellar aberration equation that is a function of v, c, t’ and ε where t’ is the symmetrically dilated time and ε is the direction to the star at rest. ε’ is the direction to a “fixed star” as seen by a traveler who observes “fixed stars” as if it they were moving instead of himself. This aberration equation (ε’ – ε) can be easily and inexpensively tested at any modern university observatory for accuracy against all other leading stellar aberration equations including Einstein’s 1905 Doppler Aberration equation, Bradley’s Falling Rain equation, And the Naval Observatory NOVAS model (used by the Astronomical Almanac for precise prediction of stars’ locations at a future dates/times).